The Dominator Reseller Program is designed as an extension to the SEO Dominator's Club to support those individuals that are doing SEO as a service. 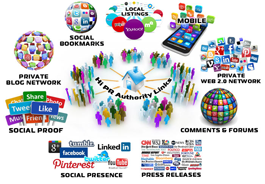 If you are providing SEO services to businesses this is the program for you. If you want to start an SEO Business this is the program for you. If you want to take advantage of a huge opportunity, this is the program for you. Here is the story of how this got started. 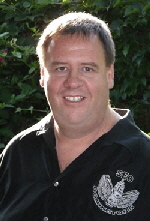 My name is John Limbocker, and I have been providing commercial SEO services since the beginning. It didn't even have a name when I got started. In 2008, after increasing clients sales by over 100 million dollars through on-line sales driven by SEO, I decided to share my knowledge. The SEO Dominator's Club was born. In the process of training over 800 people my methodologies and processes for SEO, I realized one thing. Everyone just wanted to make money but most were failing. Many claimed that they couldn't do it because they didn't have all my expertise and resources. The number one question I got from a poll was, ”What would you do if you lost everything and you had to start from scratch like where we are now?”. I would offer to help business owners increase their businesses using the Internet. The primary desire of a business owner is to increase business and they will pay people to help them do that. So I start off as a helpful consultant showing them ways to increase their business on-line and they wind up wanting me to do it for them. It makes selling the service of SEO a no brainer and you don't have to be a salesman to do it. The next hurdle to overcome was the fact that people had trouble believing they could run an SEO company because they didn't believe in their skills and ability to support it. This is when the Dominator Reseller Program was born. I offered to not only show them how to run the business but I also offered to sell my services at wholesale to them to resell as their own. I did this as well as giving them access to other vendors that would do the same thing for them so they could run a thriving Internet Services business. The program includes my assistance on prospecting, proposal, presentation and closing techniques. It also includes group support and brainstorming calls periodically as well as live in person masterminds. I even share the presentation I made using Frank Kern’s “Magic Model” which sold over 100K in a single presentation to business owners at a conference in Atlanta. You will get this as a template and I will go through it with you so you know why it worked so well and how to use it for yourself. I will also share how I got over my stage fright and am now able to walk on stage in front of any size audience and deliver sales presentations that sell. And i am perfectly comfortable doing it now. In fact, I can't wait for the next one! There is nothing about my business or practices that I do not share with the members. You can literally ask me anything you want to know and I will answer you straight up! The cost to join is a one time fee of $997.00 which gives you immediate access to everything and the help you need. Then it is $147 a month ongoing for support and continued access to wholesale purchasing, support calls, masterminds, etc. Resellers also get to attend all live events at no cost. You may qualify for our scholarship program. email John with your situation to see if you might qualify.